It also includes as an extra: tiger geocoder with loader for 2010 Tiger data. You can expect to see this tiger geocoder upgrade in 2.1.0 to load tiger 2011 data. Note for Vista Users Because of the new added security in Vista, you may run into issues installing PostgreSQL. Please refer to the Windows Vista gotchas http://trac.osgeo.org/postgis/wiki/UsersWikiWinVista in the PostGIS wiki if you run into issues. 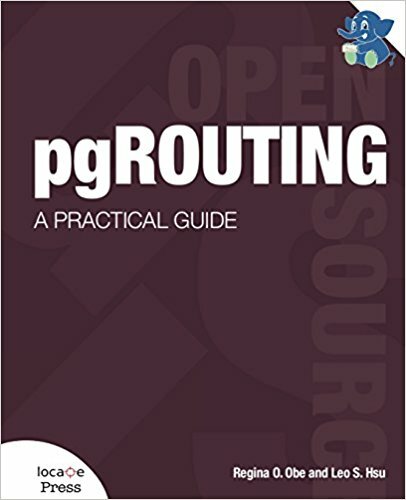 Download the install for your specific platform from the PostgreSQL Binary Download ( http://www.postgresql.org/download/ ) . As of this writing the latest version is PostgreSQL 9.1.3 and we will be assuming PostGIS 2.0. 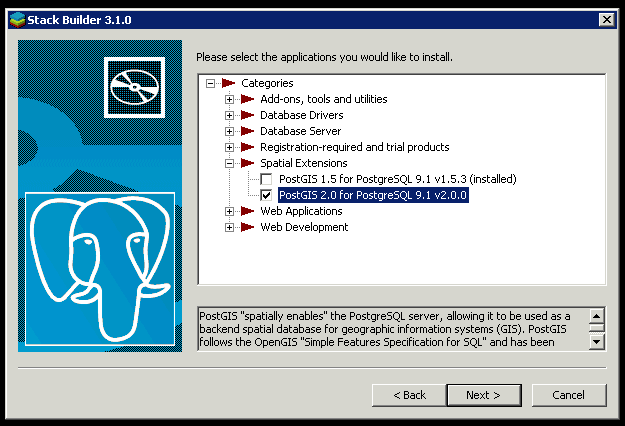 The minimum support PostgreSQL for PostGIS 2.0.0 is PostgreSQL 8.4 and to get the full fancy smancy features like KNN distance indexable operators and ability to install with extensions, you need 9.1. So use 9.1, PLEASE, enough said. 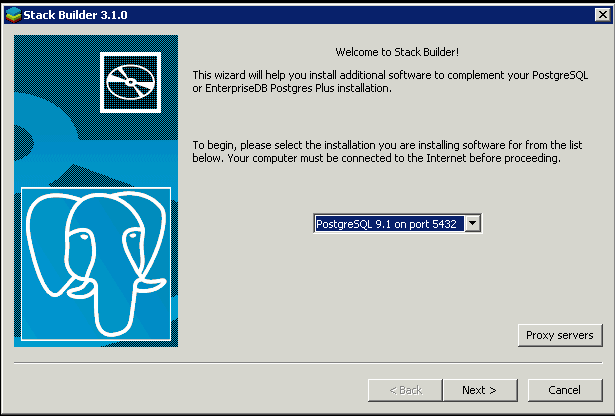 The below options follow the basic sequence of the postgresql windows installer. If you want to access this server from other than the server itself. Check the "Accept connection on all addresses, not just localhost". NOTE: You can change this later by editing the postgresql.conf -> listen_addresses property and if you don't like the default port of 5432 you can change this as well in the postgresql.conf -> port property. For encoding UTF-8 is preferred because you can convert to other encodings. SQL_ASCII was the default on Windows before 8.3 and was later replaced with WIN1252. UTF-8 however is now supported well under Windows and generally the default on Linux/Unix. Navigate to spatial extensions and pick PostGIS 2.0. Download , install. Please note for many install packages - particularly windows. 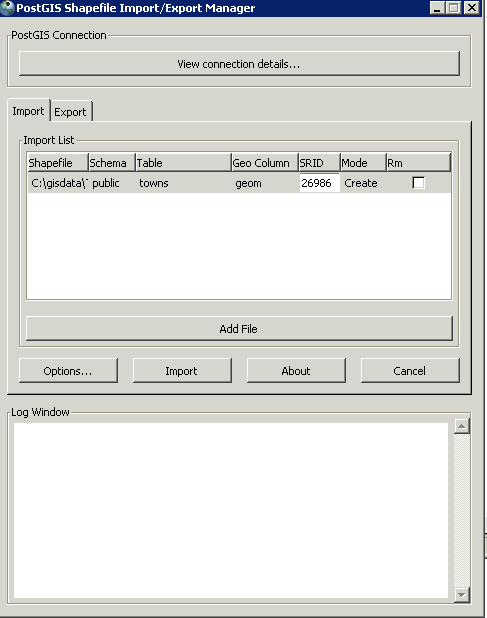 When you choose PostGIS as an option, the system will create a template_postgis20 (or template_postgis) template database for you that has PostGIS functions included. The create spatial database checkbox is optional, and we generally uncheck it. 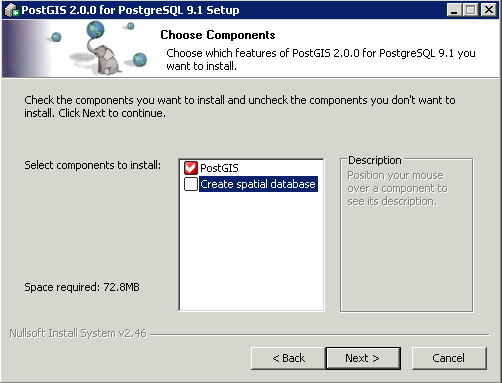 It creates a spatial database for you to experiment with, but the template_postgis20 is always created for windows. 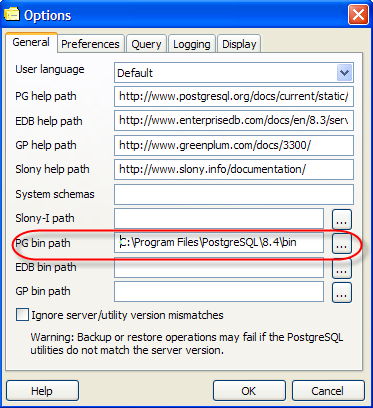 If you are running PostgreSQL 9.1+, we recommend you don't even bother with the template database and just use CREATE EXTENSION postgis in the database of your choosing or use PgAdmin Extensions install feature which we will cover in this tutorial. For those of you who want to try experimental builds -- e.g. We have experimental Windows builds made weekly or as frequently as anything interesting happens in the PostGIS code base. These can be downloaded from http://postgis.net/windows_downloads. For those who want to test out 2.0.1SVN, just replace the postgis-2.0.dll in the PostgreSQL lib folder with the one in the zip and run the respective postgis upgrade sql file in the share/contrib/postgis-2.0 or if you are using extensions ALTER EXTENSION postgis UPDATE TO "2.0.1SVN". PostgreSQL comes packaged with a fairly decent admin tool called PgAdmin3. If you are a newbie, its best just to use that tool to create a new database. On windows the file is located in C:\Program Files\PostgreSQL\9.0\share\contribs\adminpack.sql for versions of PostgreSQL below 9.1. It is located in the share folder of Linux installs as well. To install it --- switch to postgres database and run the adminpack.sql script in that database. Its generally a good idea to create a user too that owns the database that way you don't need to use your superuser account to access it. UPDATE: - The remaining steps in this section are not needed if you chose template_postgis20 for your new database. 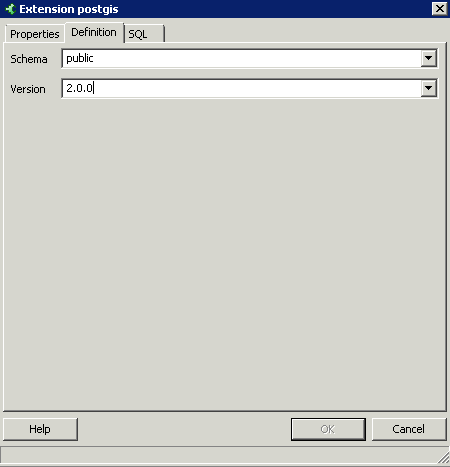 However if you are trying to spatially enable an existing database or you didn't get the template_postgis20 option. Do the remaining steps. For PostgreSQL 9.1 -- expand your database and you should see an extensions section , right-mouse click on that and select the New Extension option. Note the two options -- postgis and postgis_topology -- ain't that a beaut. This will work even if your PostgreSQL server is not on Windows. . 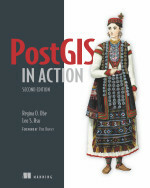 Select postgis (this includes geometry, geography, and raster support). 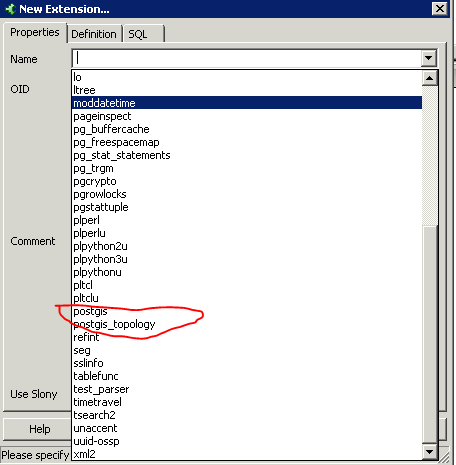 Then if you want to use topology, then repeat the step picking postgis_topology. Also note the Definition tab, which allows you to install postgis in the non-default schema and will also allow you a painless way to upgrade to PostGIS 2.0.1 when that comes out by changing the version number from drop down. On the Query tool, make sure your gisdb is selected and then run the above scripts click the green arrow. You'll get a bunch of notices - not to be alarmed. As of PgAdmin III 1.10 -- the Plugin Icon has PSQL as an option and if you responded to the message Yes to the Overwrite my plugins.ini (for 9.1 you won't get a prompt since these files are stored separately), you should get an additional PostGIS Shapefile and DBF Loader option. . This option should become ungreyed when you select a database and when you launch it, it will pass in the credentatials to the database for you and launch a PSQL connection. If the Plugins green is disabled (and says No Plugins installed) then most likely you have another PgAdmin or PostgreSQL install getting in the way. An easy fix is to open up PgAdmin III go under File->Options and make sure your PG bin path is pointing at the locations of your PostgreSQL bin (e.g. C:\Program Files\PostgreSQL\8.4\bin) and click the ... to repoint it if it is not. You will notice one of the files it extracts is called TOWNS_POLY.prj. A .prj is often included with ESRI shape files and tells you the projection of the data. We'll need to match this descriptive projection to an SRID (the id field of a spatial ref record in the spatial_ref_sys table) if we ever want to reproject our data. Alternatively you can use the gui to load the data and when you do, your screen will look something like this. Which is a little different from the PostGIS 1.5 loader, because it allows uploading multiple files at ones. To edit any of the settings for each file, click into the cell and the cell will become editable. One thing you can do with the shp2pgsql command line version pacakged with PostGIS 2.0, that you can't do with the GUI is to do a spatial transformation from one coordiante system to another. So witht eh command line, we can transform to 4326 (WGS 84) and load to geography type with a single command. 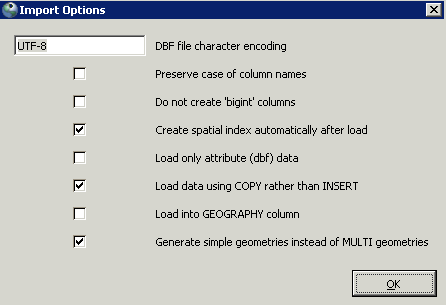 Hoepfully we'll see this in the GUI in PostGIS 2.0.1 or 2.1.0. The most common queries we will be doing on this query are spatial queries and queries by the town field. So we will create 2 indexes on these fields. NOTE: The loader has an option to create the spatial index which we took advantage of, so the spatial index one is necessary aside form just to keep in mind or if you forgot to enable the index opton in the loader. Most functions in new postgis installs just have an ST_ prefixed, except for GeomUnion which became ST_Union. The other difference is that relational operators with ST_ now automagically use index operators where as the ones without ST_ you need to do an additional && call. If you are a GIS newbie, I highly recommend using Quantum GIS. Quantum GIS has ability to view PostGIS data directly, do simple filters on it, is free, is cross-platform (Linux, Windows, MacOSX,Unix) and is the least threatening of all the GIS Viewers I have seen out there for people new to GIS.